Hi guys. Spent the past few weeks tramping/packrafting/spearfishing from George Sound to Caswell Sound. Awesome trip but had to pack down and leave from Caswell Sound hut in a rush after getting some short notice from the seaplane pilot. In the cleaning mayhem I've left a SD card for my camera in the hut. Pretty bummed, as it had all my photos/footage from the first week of the trip. Figured that it’s mostly hunters who visit Caswell Sound so you guys would be worth a shot! If anyone is heading out there, or you know someone who is, there’s a $250 reward for anyone who can find the SD card and post it out to me (I live in Aus). Last place I remember having it was on the nogging (horizontal timber stud) to the right of the fireplace, but it could also been on the bunk near the fireplace and fallen off into the firewood beneath. Could potentially be around the front of the hut, or ~15m down the track towards the beach as we camped out front instead of sleeping in the hut. 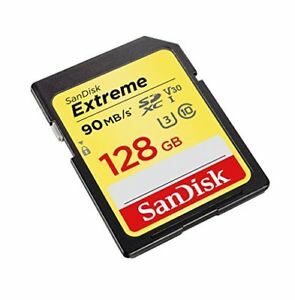 The SD Card was a Sandisk Extreme 128gb, and looks like the photo I’ve attached. It’s about 20mm x 30mm x 3mm. Yeah I've got a friend who came with us on the trip who knows a chopper pilot operating in the area. He said he'll pass on the info soon, he's just out in deep cove currently. Thanks for the suggestion though! bumblefoot and BeeMan like this.